The Zoo York Institute is proud to announce an exclusive collaboration with NYC’s unbreakable hip-hop collective, the Lordz of Brooklyn. 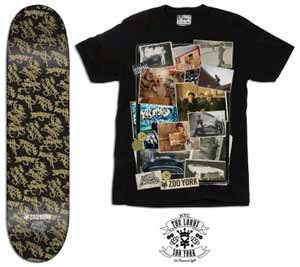 This limited edition collab features a co-branded ZY skateboard deck and T-shirt with custom graphics that chronicle the band’s gritty Bay Ridge upbringing, graffiti roots, blue collar pride, and deep family ties. 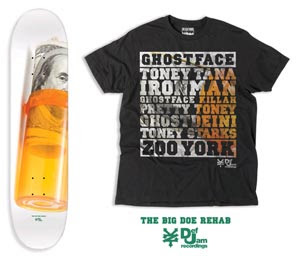 Slated to drop in late April, only 500 decks and tees will be available at select retailers worldwide. The Zoo York skate team are heading to the UK for a schedule of park demos and instore signings. Catch them at Manchester (11th June), Leicester (12th June), Crawley (13th June) and London (14th June).